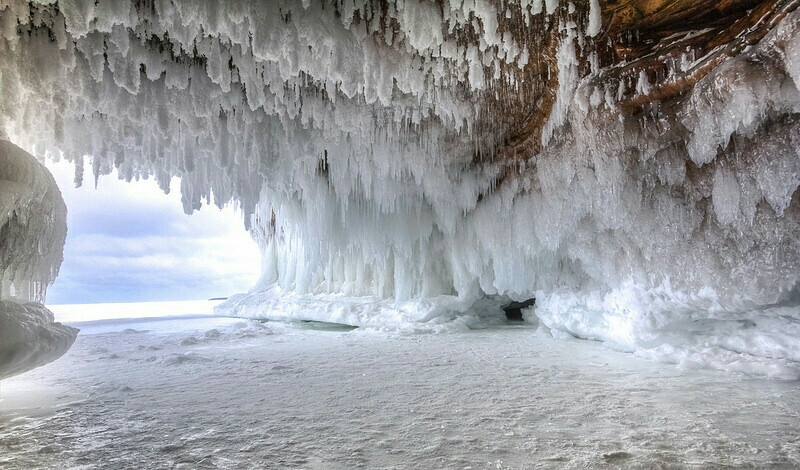 The ice caves along the Apostle Islands National Lakeshore in northern Wisconsin have been closed to visitors for the past five years. Warmer winter temperatures have kept the ice less than 8 inches thick, which is too thin to safely walk out on. Now, for the first time since 2009, the ice over Lake Superior is 16-18 inches thick, and visitors are flocking to the park, eager to explore its frozen sea caves and their unique formations. Kelly Marquardt is a self-taught hobbyist who runs her own daycare business. However, she says that she truly lives to explore and photograph the natural world throughout Wisconsin and Minnesota and to adventure with her loved ones.